 "Exceptional Exteriors provided all the information we..."
"I was blown away with the quality of Exceptional Exteriors'..."
Learn about the benefits of working with an Owens Corning Roofing Platinum Preferred Contractor! Having a strong, waterproof roof is essential to keeping your home protected, and local roofing experts at Exceptional Exteriors LLC are here to help you with all your roofing and window needs! We offer roof repair, roof replacement, and new roof installation, ensuring that you're covered no matter what type of problems you have. Are you looking for high-quality replacement windows or window installation to give your home a beautiful new appearance? Exceptional Exteriors LLC is your trusted window replacement company, offering a large variety of styles and materials for every budget and design preference. As experienced window installers and roofing contractors, we work with a variety of roofing materials and window types, including the best products from industry leading manufacturers. Our experts will work with you to identify the best solution for your needs and provide you with a quality installation. If you need any roofing or window services for your home, call us today at 1-844-686-4501 or contact us online. We offer free estimates on all our work in Centennial, Englewood, Littleton and the nearby areas. If you're looking for roof repair or roof replacement services for your home, Exceptional Exteriors LLC are the local experts you need. From roof leaks to broken and torn shingles to storm damage, we can quickly and effectively restore your roof. Our roofing solutions look great and will last for years to come. 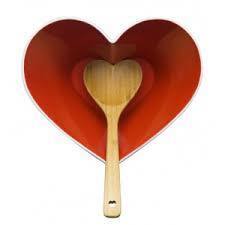 Call us today at 1-844-686-4501 or contact us online to get started with a free estimate. We proudly offer all our roofing services in Centennial, Englewood, Littleton, Aurora, Denver, Colorado Springs, Boulder, Westminster, and throughout the surrounding areas.